In this lesson, we will learn how to find the front, top, and side views of a three-dimensional figure and identify these view among some polygons. 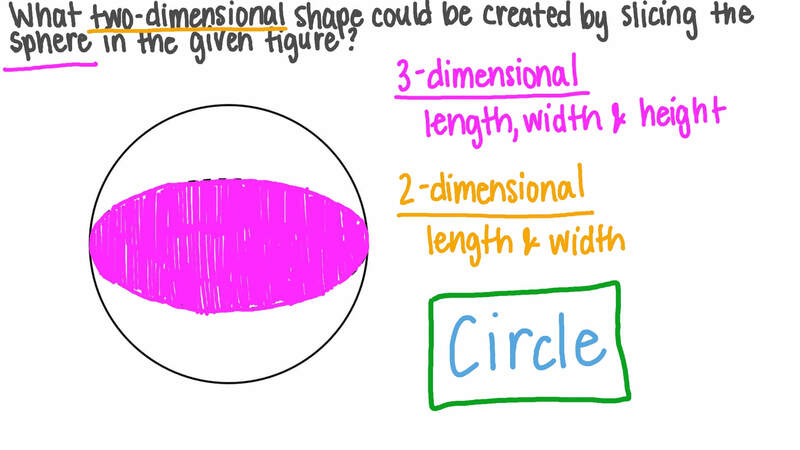 Which of the following two-dimensional shapes could be created by slicing the sphere in the given figure? Which of the following solids could be sliced vertically, in the orientation shown, to produce the two-dimensional cross section seen in the given figure?